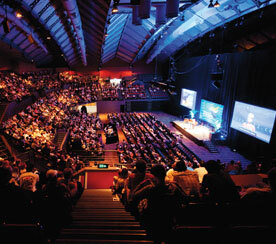 A symposium celebrating the birth, development and achievements of coral reef sciences will be held at the Shine Dome in Canberra on 7th and 8th October 2010. The ARC Centre of Excellence for Coral Reef Studies will be presenting the conference program with assistance from the Australian Academy of Science and The Royal Society, which is celebrating its 350th anniversary. The Canberra symposium will incorporate presentations by members of both national academies and the ARC Centre of Excellence and provide an insight into the future of these iconic ecosystems. The Royal Society has a long history of involvement with research on the Great Barrier Reef. In 1928 they sponsored C. M. Yonge to lead an expedition to the Lowe Isles off Port Douglas in northern Queensland. This was the world’s first detailed scientific study of coral and coral reefs. Less than 100 year later, Australian coral reef science and reef management lead the world, and every year close to 200 international scientists travel to the Great Barrier Reef to pursue their research. 2010 is also the International Year of Biodiversity. Coral reef biodiversity underpins the critically important functions and services performed by reef ecosystems, such as sustaining the productivity of fish stocks on which many tropical nations depend for their food security and future development. 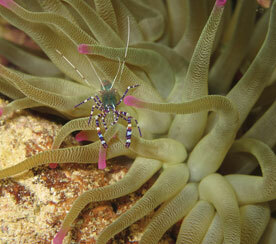 The latest science on understanding and managing coral reef biodiversity will be a feature of the symposium program. celebrate the birth, development and emergence of coral reef sciences. present the latest science which supports the sustainable management of coral reefs, in Australia and globally. A public forumat National Museum of Australia at 5.30pm for a 6.30pm start, Thursday 7th October. Hosted by Robyn Williams, award-winning science writer and broadcaster, this event is for everyone: the general public, teachers and school children (older than about 10) as well as scientists, resource managers and policy-makers. An exhibition Exploration and Endeavour:The Royal Society of London and the South Seas celebrating the 350th anniversary of the founding of the Royal Society of London to be held at the National Museum of Australia from September this year. The exhibition will feature items from the Royal Society’s collection that relate to the early scientific exploration and documentation of the Australian continent and surrounding waters. Attendees at the public forum will have entry to the exhibition. Dr Tracy Ainsworth is an Australian Postdoctoral Fellow in the ARC Centre of Excellence for Coral Reef Studies. Her PhD research investigated the histopathology and microbial ecology of stress and disease in reef corals. Tracy’s broad research interests include stress responses, cell biology, immunity and disease of marine invertebrates. Dr Simon Dunn is a Research Fellow with the ARC Centre of Excellence for Coral Reef Studies undertaking research at the Global Change Institute and the School of Biological Sciences at the University of Queensland. His research focuses on changes in gene expression and the molecular and cellular interactions associated with the onset, maintenance and breakdown of cnidarian-dinoflagellate symbiosis. Professor Ove Hoegh-Guldberg is a Deputy Director in the ARC Centre of Excellence for Coral Reef Studies, Director of the Global Change Institute at the University of Queensland, and a Queensland Premier’s Smart State Fellow (2008-2013). His research interests span a broad range of topics including marine biology, evolution, physiology, biochemistry and molecular biology of plant-animal symbioses, co-evolution, coral bleaching and climate change. Ove is Chair of the GEF/World Bank Working Group on Coral Bleaching and Related Ecological disturbances,one of five expert groups within the IOC and World Bank Coastal Program’s Global Coral Reef Targeted Research and Capacity Building Project. Ove has published over 160 papers, including 15 in Science or Nature. He is reviewing editor at Science Magazine. Andrew Hoey is a PhD candidate in the ARC Centre of Excellence for Coral Reef Studies. Prior to his PhD Andrew worked for several years as a laboratory manager for David Bellwood and has undertaken research on reef systems spanning the Indian and Pacific Oceans. His research focuses on the functional interactions between reef fishes and benthic algae, and the relationship between biological diversity and ecosystem resilience. His PhD research investigated the role of macroalgal browsing fishes on coral reefs. In 2009, he was invited by the IUCN to present his research at the International Marine Conservation Congress in Washington DC. Andrew was awarded a 2009 Virginia Chadwick Award for best student publication from the ARC Centre of Excellence for Coral Studies for his paper on the role of macroalgal browsing fishes on the Great Barrier Reef. Professor Yossi Loya is a Raynor Professor of Environmental Conservation Research at Tel Aviv University (TAU) Israel; Chair of the Scientific Management Committee ARC Centre of Excellence for Coral Reef Studies; Co-Chair of the GEF/World Bank Working Group on Coral Bleaching and Related Ecological Disturbances, within the IOC and World Bank Global Coral Reef Targeted Research and Capacity Building Project. He served as Chairman of the Zoology Department (1989-90) and Dean (1990-95) of the Faculty of Life Sciences, Tel Aviv University (TAU), Founder and Chairman of the Porter School for Environmental studies at TAU (1996-2000). His research interests focus primarily on ecology of reef corals, spanning broad range of topics, including: coral community structure, life history, reproductive strategies, biodiversity, conservation and management, evolution, physiology, oil pollution, coral diseases, bleaching and climate change. He has published over 210 papers, including 9 in Science or Nature. In 2000 he was awarded the prestigious Darwin Medal by the International Society for Reef Studies. His most recent recognition is being elected in 2009 as a Fellow to the Israeli Academy of Science (first ecologist in the Academy). Dr. Elizabeth Madin is a US National Science Foundation International Postdoctoral Fellow based at the University of Technology, Sydney. Elizabeth’s broad research interests include behavioural and community ecology, effects of fisheries on marine communities, and marine conservation. Her NSF postdoctoral research, in collaboration with Dr. Dave Booth (UTS) and Dr. Phil Munday (JCU), focuses on understanding latitudinal variation in the effects of fisheries on coastal marine systems. Her doctoral research investigated behavioural ecology of coral reef systems in the remote Line Islands, in particular the role that fishing plays in driving top-down, behavioural effects. She received a Fulbright Scholarship in 1999 to do research at JCU and again in 2007 for collaboration at AIMS, and in 2009 she received her Ph.D. from the University of California, Santa Barbara. Professor Malcolm McCulloch is a Deputy Director of the ARC Centre and the Western Australian Premier’s Fellow at the University of Western Australia. Malcolm’s research interests focus on the modern part of the geologic record using isotopic and trace element geochemical methods to determine how climate and anthropogenic processes have influenced both past and present environments with particular emphasis on coral reefs. Malcolm has received a number of prestigious awards, most recently in 2010 he was elected as a Fellow to The Royal Society. In 2009 he was awarded the Jaeger Medal for his career achievement in the Earth Sciences and has Fellowships of the Australian Academy of Science (2004), the Geological Society of Australia (2007), the Geochemical Society (2008) and the American Geophysical Union (2002). His 228 scientific papers have been published in leading international journals including 23 in Science or Nature. John Pandolfi is Professor at the School of Biological Sciences, and Centre for Marine Science, University of Queensland and a chief investigator of the ARC Centre of Excellence for Coral Reef Studies. He has published more than 80 scientific articles. 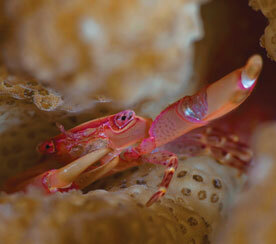 He likes hunting for fossils because they help him to uncover the past history of living coral reefs. John has recently been recognized as one of the top 20 highly cited climate change scientists in the world. John was recently appointed President of the Australian Coral Reef Society. Murray Roberts is a Reader in Marine Biodiveristy at Heriot-Watt University. He studied Biology at the University of York before completing a PhD at the University of Glasgow examining nitrogen cycling in the Anemonia viridis symbiosis. Since 1997 his work on cold-water corals has taken him to sites off Norway, Ireland and the SE United States. He discovered the Mingulay cold-water coral reef complex off Scotland in 2003, the only known inshore coral reef in UK waters. In 2007 he undertook a two-year Marie Curie fellowship to develop the first international trans-Atlantic study of cold-water corals, TRACES. He is senior author of the ‘Cold-water Corals’, the first book covering the biology and geology of these important deep-sea habitats. Dr Petra Souter is a postdoctoral researcher with Dr Madeleine van Oppen at the Australian Institute of Marine Science. Her research looks into several aspects of adaptation to environmental stress in corals. Its main focus is functional and ecological genomics, with links to genetic connectivity, reproduction, physiology, adaptation and acclimatisation. John Tanzer is an environmental consultant and Managing Director of Environmental Pathways and Solutions, providing advice to government, non-government and industry bodies on marine, coastal and fisheries issues. Currently he is working as specialist advisor to international NGOs and an Alliance of Australian teaching and research institutions on the Coral Triangle Initiative. From 1997 to 2008 he was an Executive Director at the Great Barrier Reef Marine Park Authority where he oversaw the development of the rezoning of the Park, which has seen the highly protected area increased from 4.5% to around 33%. He was also Chair of the Queensland Fisheries Management Authority in the early to mid 1990’s. He has worked in natural resource management and policy since graduating with an honours degree in Geography in 1980 from JCU. He also has a Masters of Environmental Law (ANU). Dr Madeleine van Oppen is a principal research scientist in the Understanding Marine Microbes and Symbioses research team, and director of the Centre for Marine Microbiology and Genetics at the Australian Institute of Marine Science. Her research group uses a combination of genetic and genomic approaches with physiology and ecology to study the potential of reef corals to acclimatise and adapt to climate change, the connectivity among coral reef populations, and the value and impact of certain management actions to enhance reef coral resilience. Dr David Wachenfeld is the Chief Scientist and the Director of the Science Co-ordination Group at the Great Barrier Reef Marine Park Authority. In this role, he has responsibility for co-ordinating the delivery, analysis, management and presentation of all the information needed to manage the Great Barrier Reef Marine Park. He has lived in Australia and worked on the Great Barrier Reef since 1992. During this time he has had eighteen years experience in research, management and education relating to the Great Barrier Reef. David studied marine biology at the University of London, receiving his degree in 1988. He went on to research the coral reefs of Egypt and Zanzibar for his PhD, which he received in 1993. Dr Brian Walker is a Research Fellow with CSIRO Sustainable Ecosystems and is also Program Director and Chair of the Board of the Resilience Alliance, an international research group working on sustainability of social-ecological systems. He is an internationally experienced scientist working on ecological sustainability and resilience in social-ecological systems. A key focus of his work is the significance of resilience in the sustainability of ecosystems and social-ecological systems. Dr Walker is a Fellow of the Australian Academy of Technological Sciences and Engineering and a Foreign Member of the Royal Swedish Academy of Agriculture and Forestry. He has served on numerous national and international Boards and Committees. He has co-authored two books and published over 160 scientific papers. 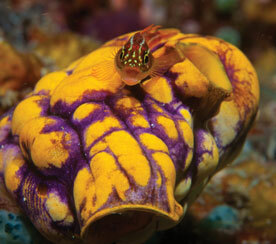 Bob Warner is a professor and Chair of Marine Biology at the University of California, Santa Barbara. He received his Ph.D. from Scripps Institution of Oceanography in 1973. After spending two years as a Smithsonian Postdoctoral Fellow at the Smithsonian Tropical Research Institute in the Republic of Panama, he was appointed to the faculty at Santa Barbara. He was founding Chair of the Department of Ecology, Evolution, and Marine Biology until 1998, and is currently serving in that capacity again. Warner’s work lies in two areas, both dealing primarily with marine fishes. The first area is in behavioral ecology, focusing on the evolution of reproductive strategies. The other active area of Warner’s published research is in recruitment, conservation, and ecology of marine fishes. His research (over 145 publications) has primarily taken place off the California coast, Panama, the Virgin Islands, Palmyra atoll, Japan, and Corsica. Professor Bette Willis is a Chief Investigator in the ARC Centre of Excellence for Coral Reef Studies and a Professor in the School of Marine and Tropical Biology at James Cook University. She also Co-chairs the GEF/World Bank Working Group on Coral Disease. Her research has addressed a broad range of questions concerning the biology and ecology of reef corals over the past 20 years, particularly in relation to ocean warming. Currently, her research activities are directed at assessing the ecological significance and environmental drivers of coral disease on Indo-Pacific reefs; exploring how algal endosymbiosis affects the physiology of the coral host, particularly in relation to thermal stress; and understanding the roles of innate immunity and coral-associated bacteria in coral health. Coral reefs contain their own history books in annually banded massive coral skeletons. Cores from such corals provide perspectives on past coral reef climates and environmental impacts – beyond the range of instrumental observations. 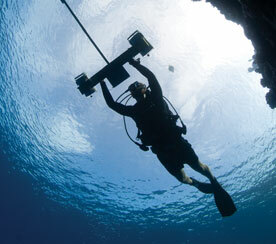 New WA coral reef cores are now sharing their secrets. Marine protected areas have been getting much attention recently in Australia. Why do we need them? This presentation provides a global overview of the need for marine protected areas, how they work, and their changing nature. David’s talk will look at the way humans interact with ecosystems and ask if there any hope for the future of coral reefs. David’s world contains fishes and all the other things. His goal is to see a world where fishing is a healthy activity for humans and coral reefs.